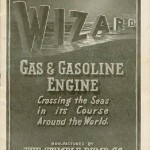 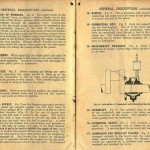 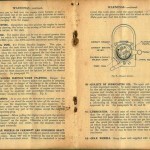 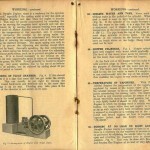 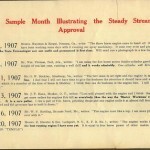 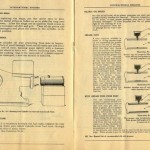 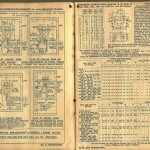 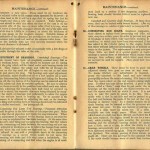 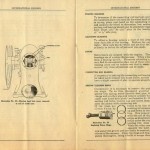 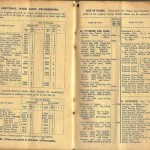 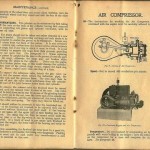 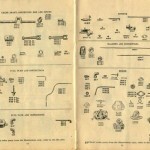 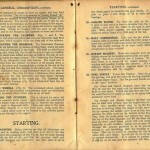 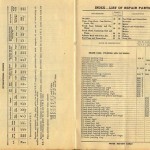 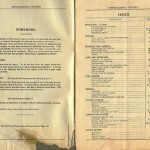 Reprints of the brochures may also be made available depending on interest. 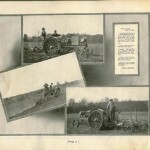 All photos are watermarked. 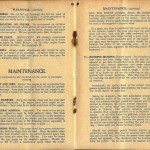 Please do not download and repost without permission! 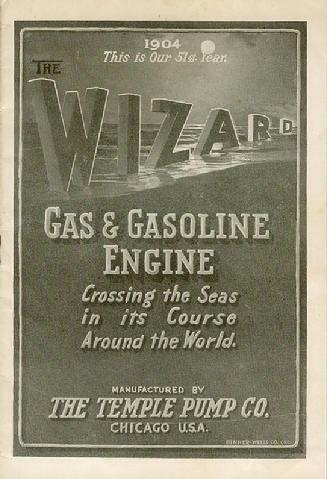 This was an eBay purchase out of Australia. 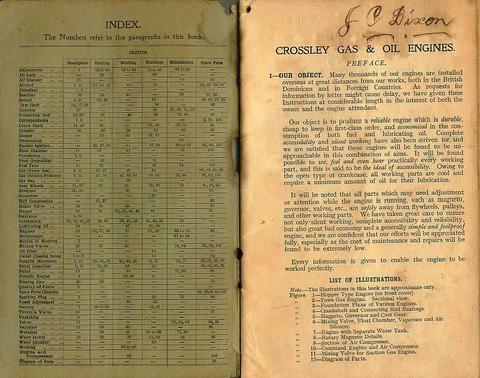 What is interesting to note is that the inscription on the first two pages is that of C. Dixon. 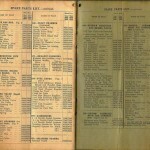 Dixon was the name of my grandmothers side of my mothers family. 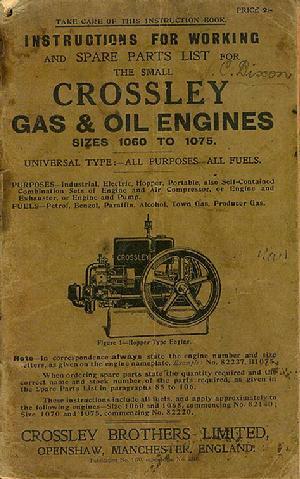 Wouldn’t it be fate if this book was once owned by my great, great, grandfather! 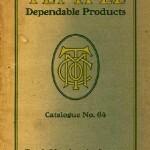 This is the first line of the catalog. 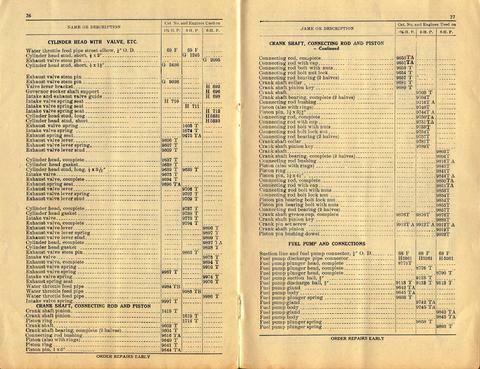 Given the following, quoted here from Wikipedia and likely cribbed from Wendel’s history of the A Chalmers company, this document is from 1929 as it makes reference to the Advance-Rumely company. 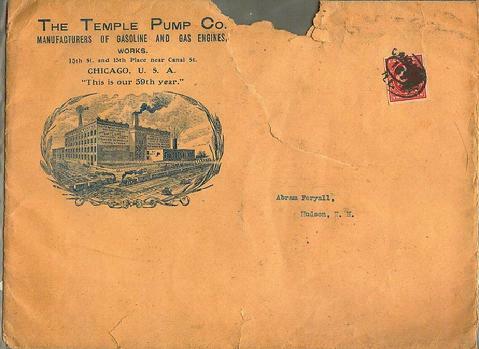 Meinrad Rumely emigrated from Germany in 1848, joining his brother John in the operation of a foundry in La Porte, Indiana. 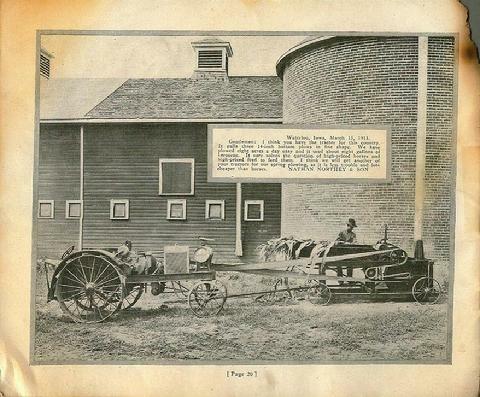 This basic operation gradually expanded by 1859 into the production of corn shellers and complete threshing machines powered by horses. 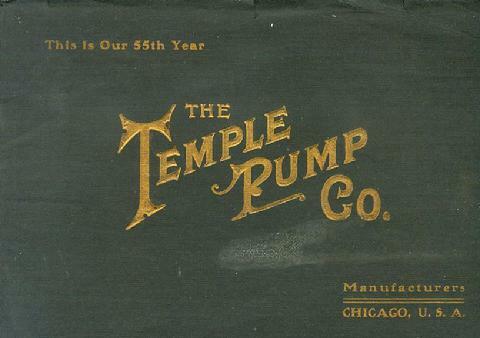 Following success in this new field, Meinrad then bought out his brother’s portion of the business and incorporated it as the M. Rumely Company by 1887. 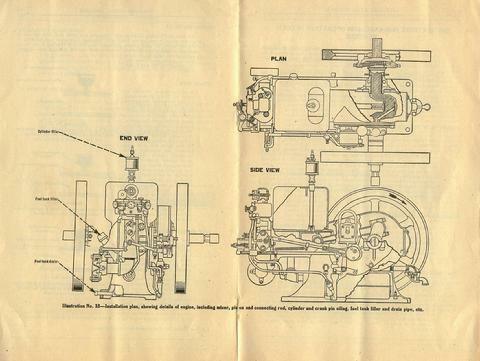 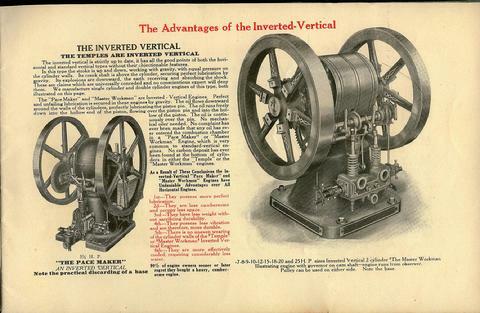 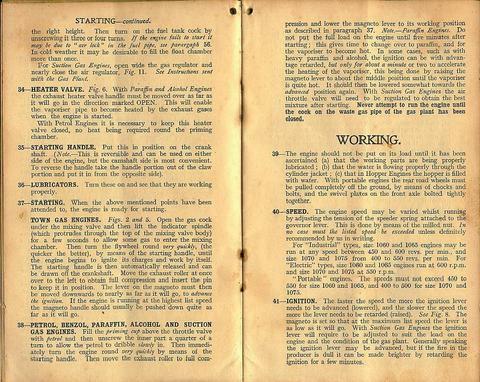 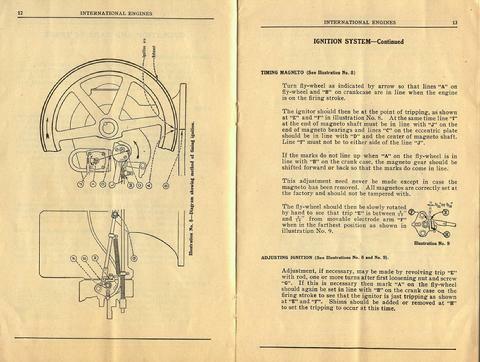 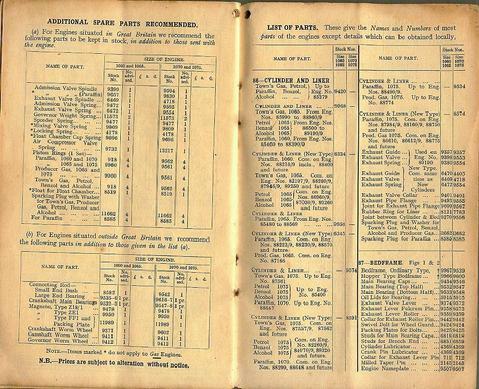 Starting in 1895, the line expanded to include steam-powered traction engines. 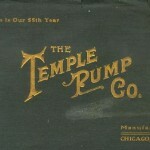 Meinrad himself died in 1904, but his sons continued to manage the business. 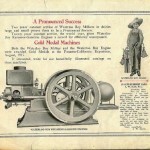 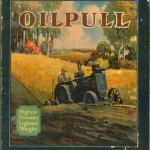 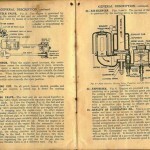 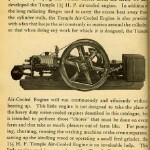 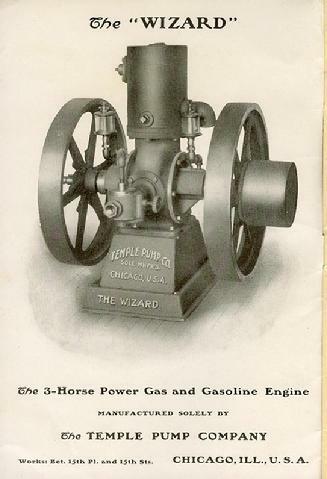 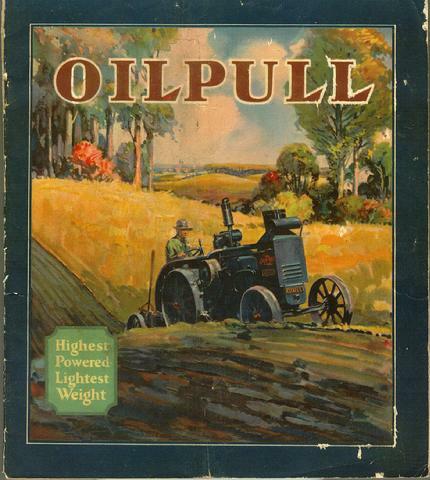 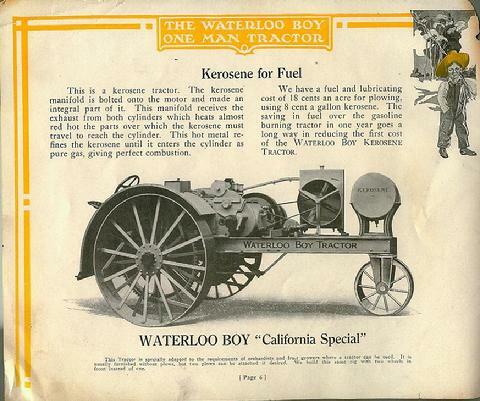 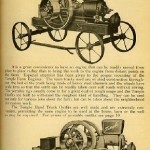 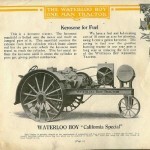 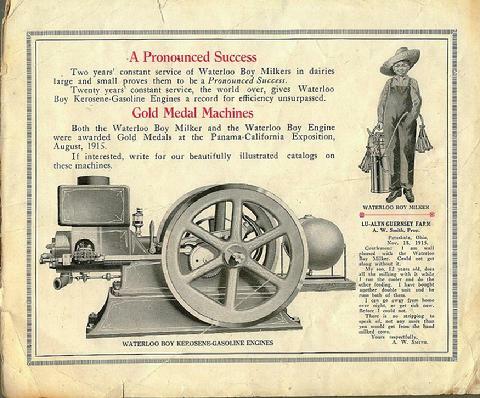 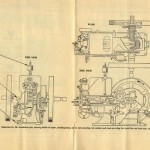 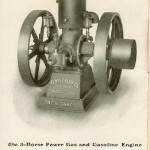 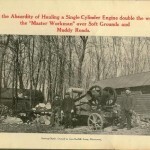 Rumely’s most famous product, the kerosene-powered Rumely Oil Pull traction engine, was first developed in 1909 and began selling to the public by 1910. 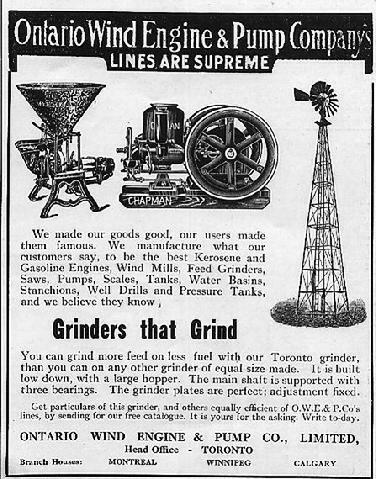 Meanwhile, Advance Thresher Company was founded in 1881 with a factory in Battle Creek, Michigan. 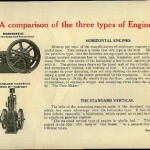 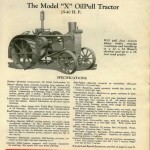 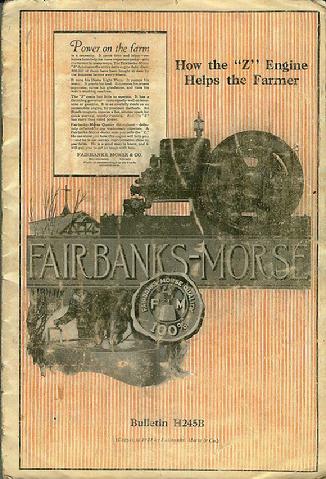 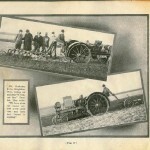 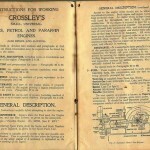 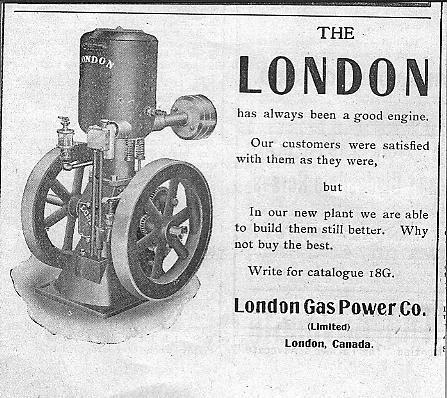 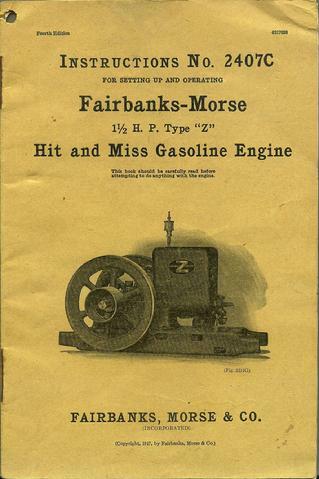 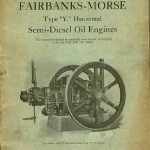 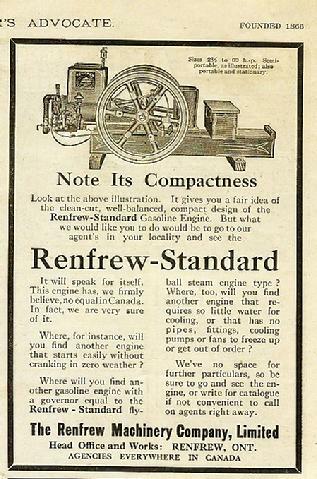 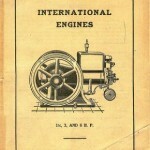 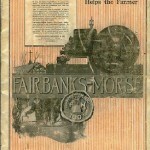 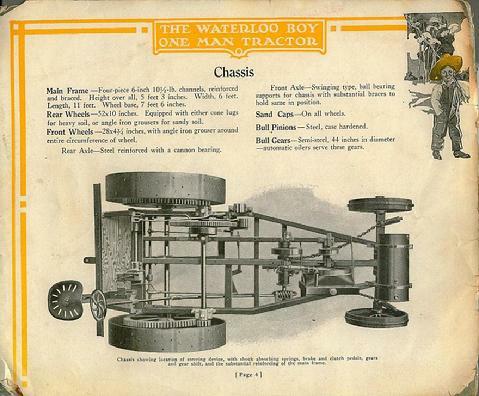 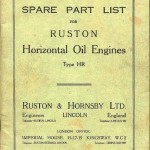 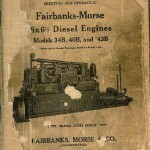 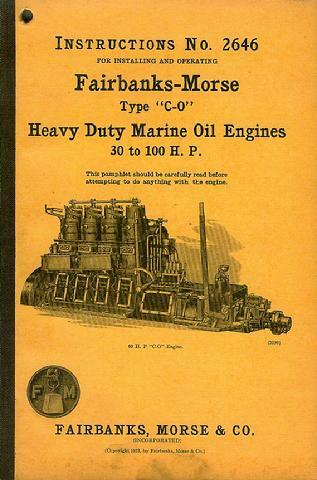 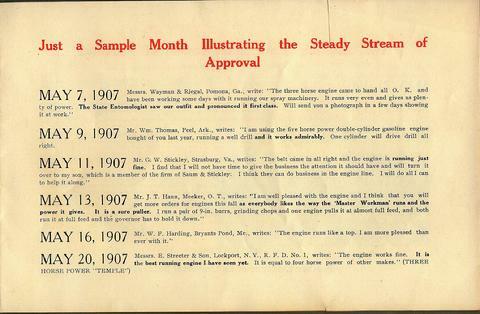 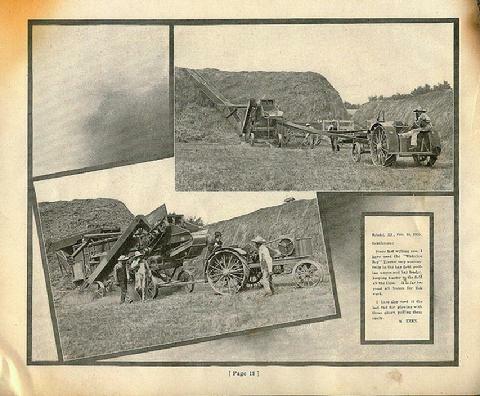 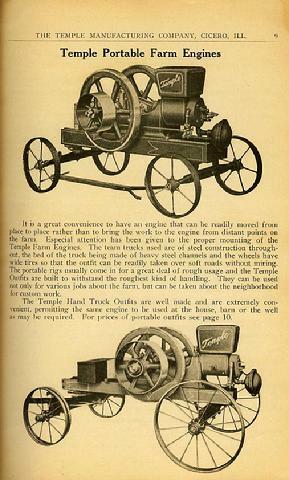 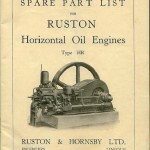 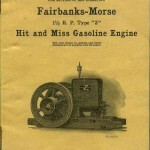 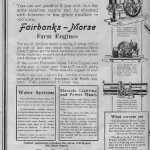 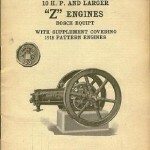 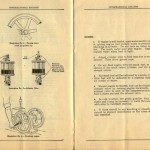 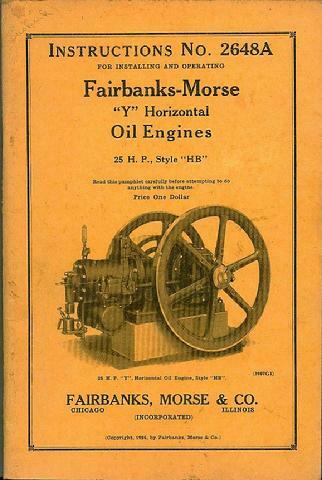 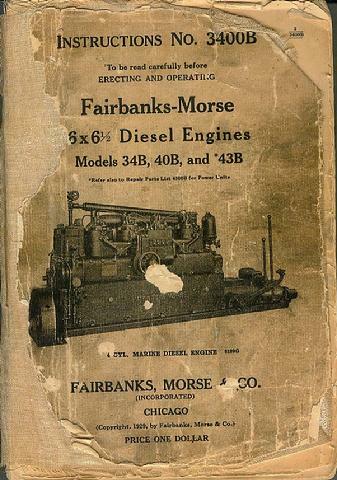 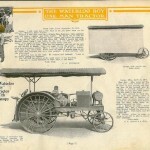 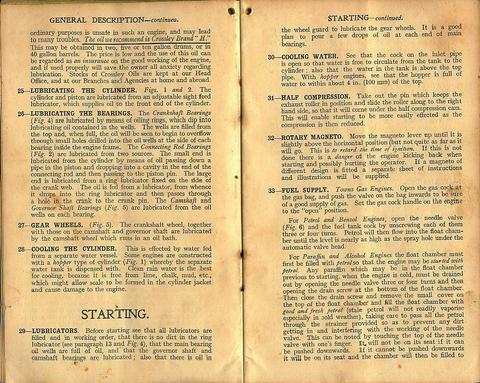 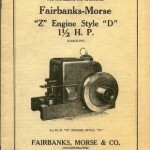 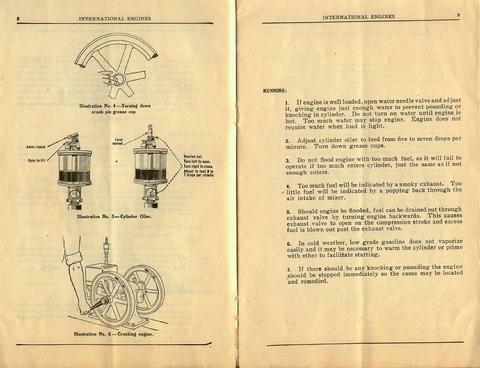 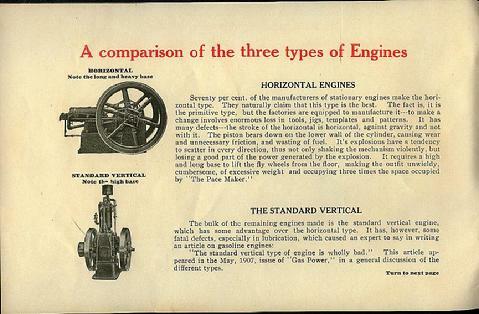 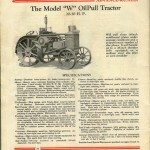 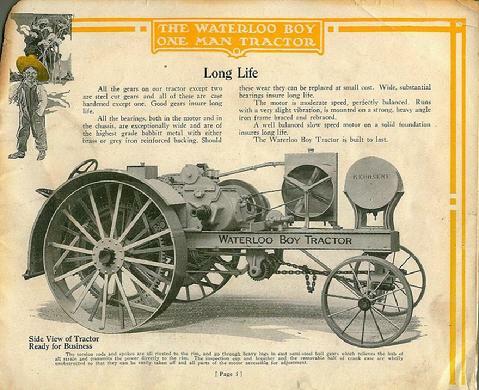 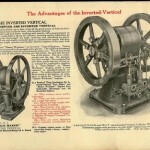 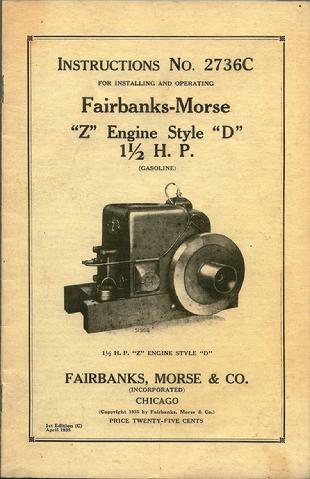 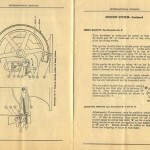 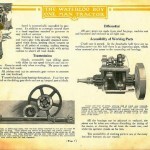 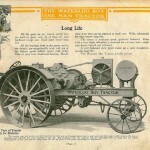 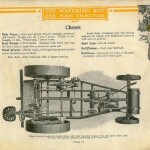 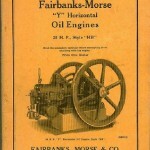 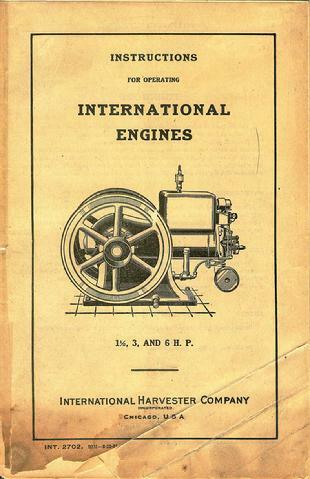 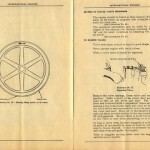 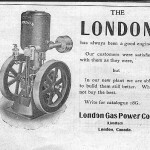 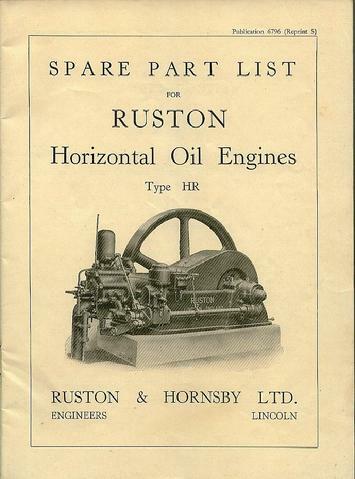 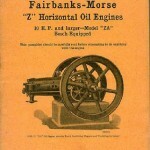 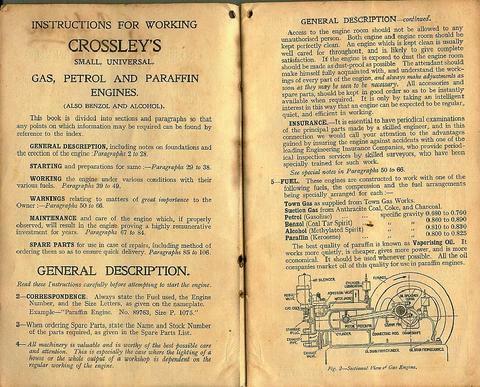 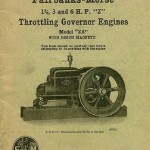 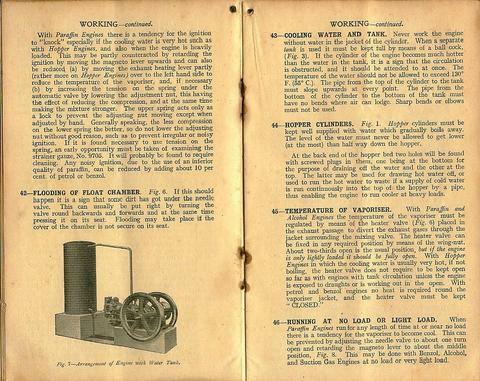 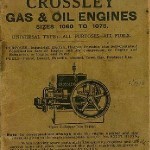 In addition to their namesake threshing machines, this company was also a prolific producer of steam traction engines. 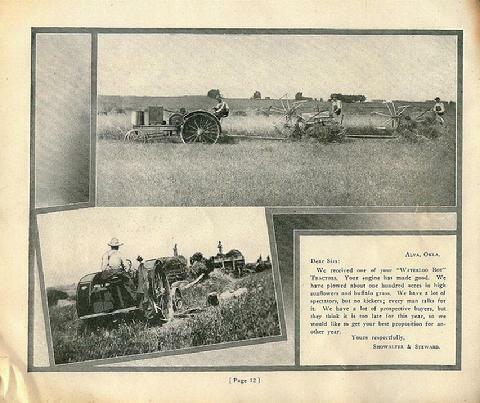 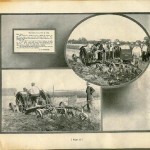 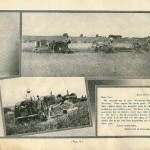 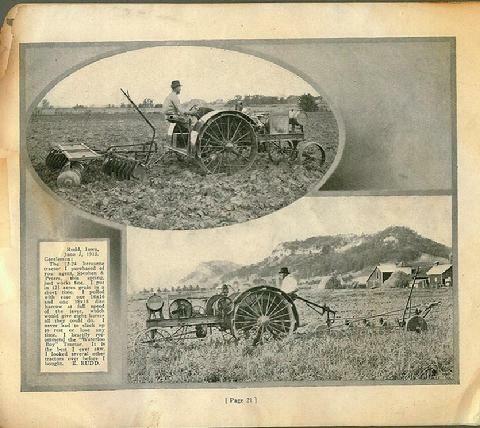 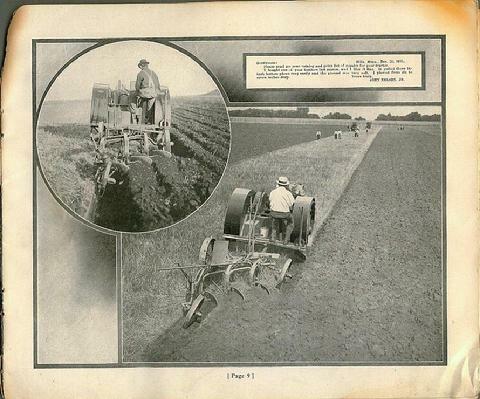 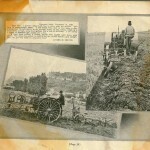 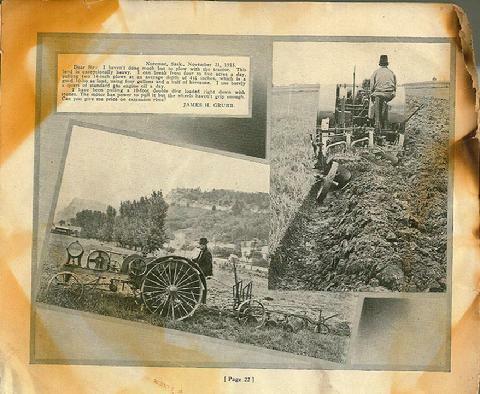 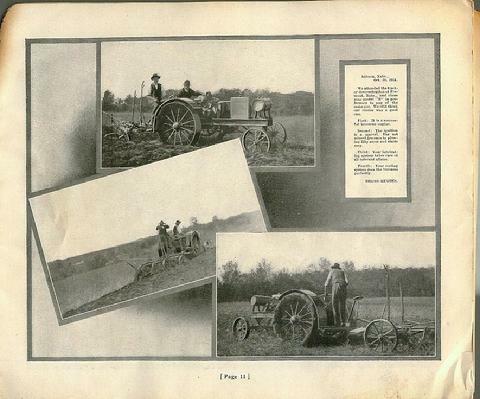 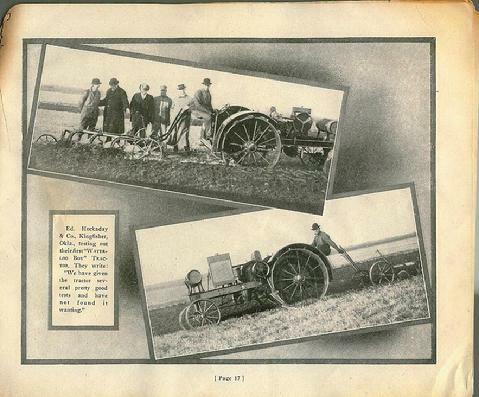 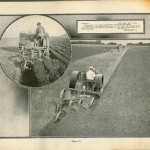 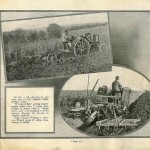 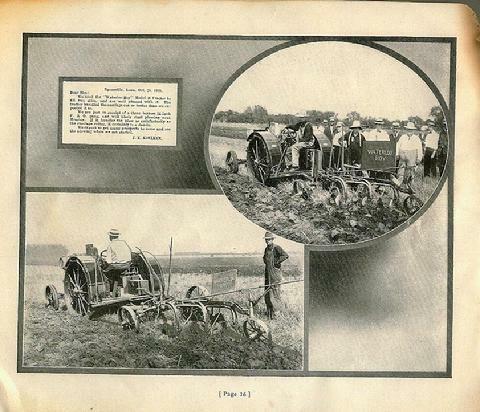 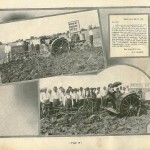 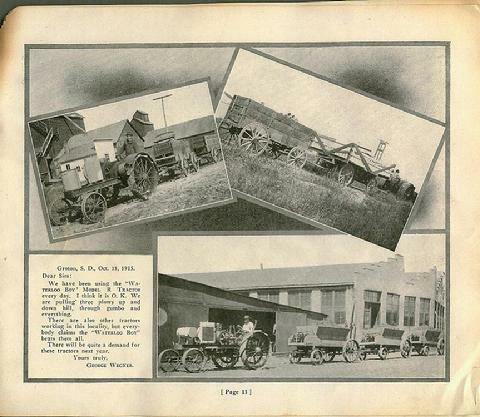 M. Rumely Company began purchasing other firms in the agricultural equipment business. 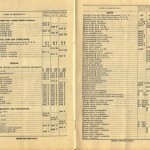 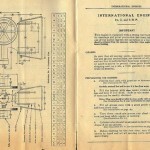 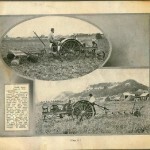 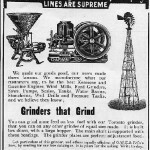 Both Advance Thresher Company and Gaar-Scott & Company were acquired during 1911. 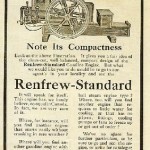 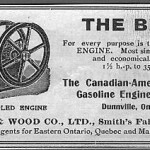 Then, in 1912, Rumely expanded further with the purchase of Northwest Thresher Company (out of Stillwater, Minnesota) and the American-Abell Engine and Thresher Company (out of Toronto, Ontario). 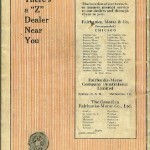 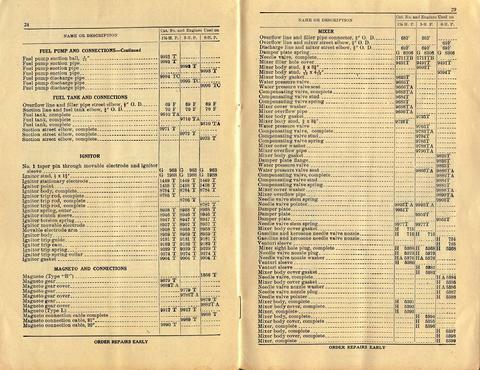 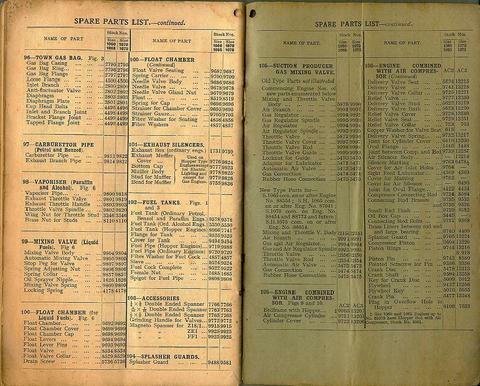 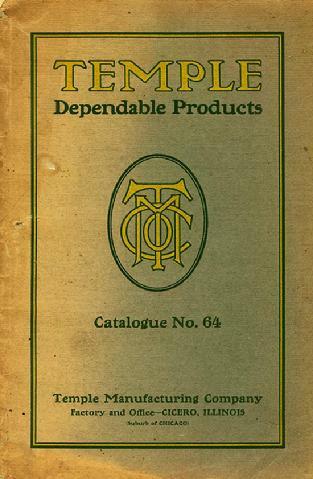 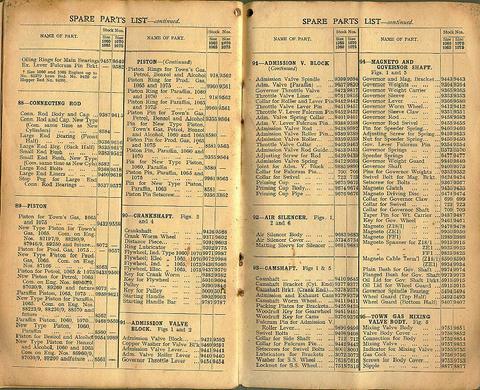 All these companies were first reorganized in 1913 as two connected firms: the existing M. Rumely Co. Inc. (effectively the manufacturing side), and the new Rumely Products Co. (the sales and distribution side). 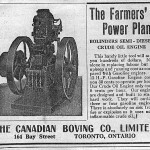 A further reorganization brought about the final Advance-Rumely Company by 1915, a move which both streamlined the organization and highlighted its famous forebears. 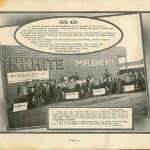 Advance-Rumely hadn’t quite finished its expansion goals, either: the Aultman-Taylor Company of Mansfield, Ohio was picked up in 1923. 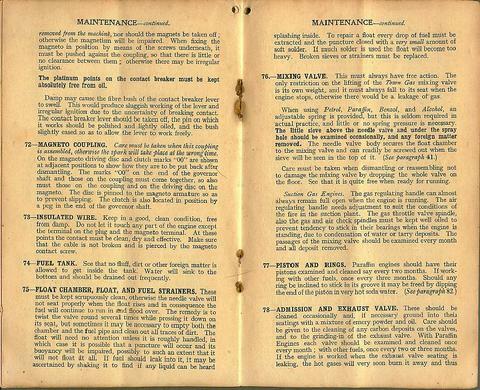 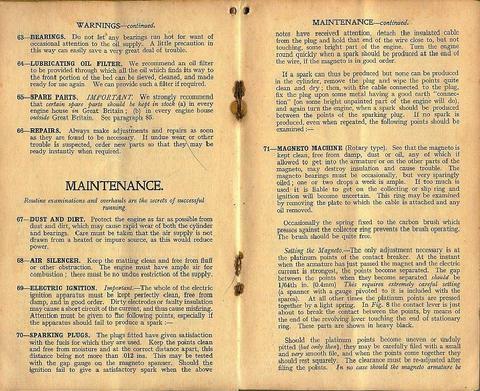 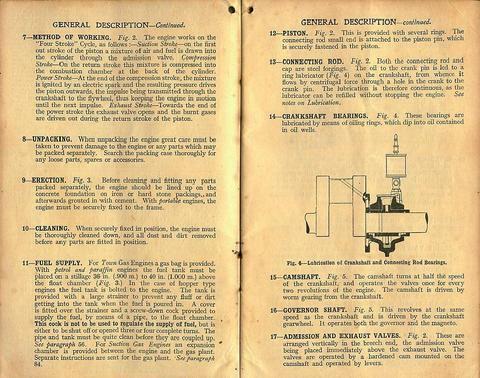 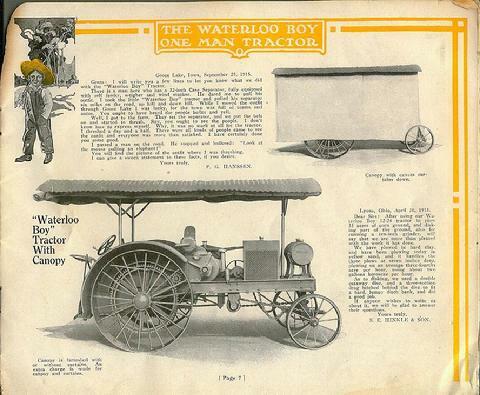 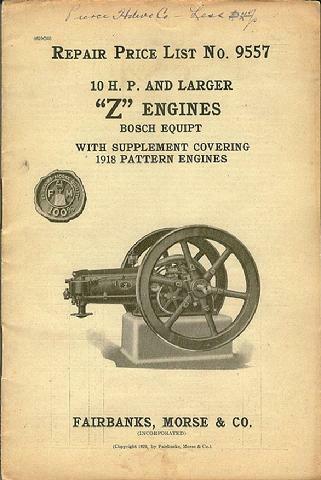 Despite all of the history and diversity in engineering acquired along with all of their corporate assets during the 1910s, most of this was left by the wayside as Advance-Rumely sought to fold everything under its new brand name or that of Rumely. The general financial collapse of the Great Depression, beginning in 1929 and carrying on through the early 1930s, began to take its toll on Advance-Rumely. 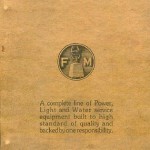 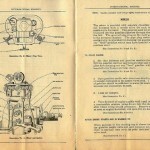 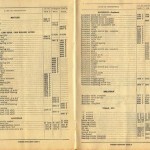 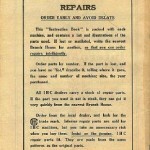 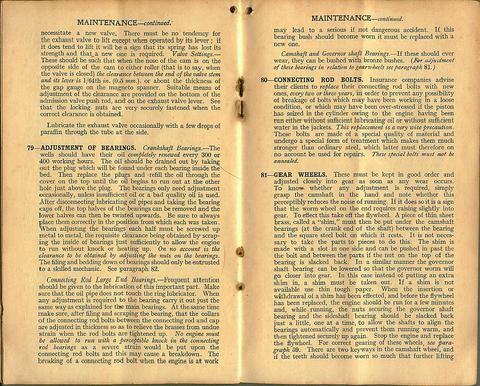 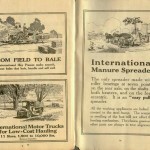 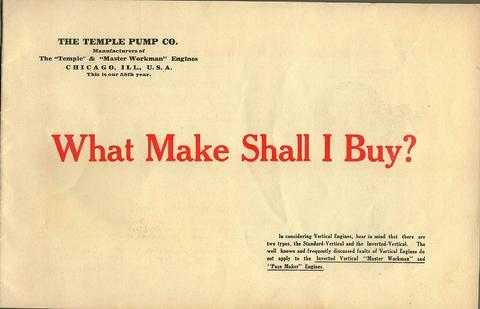 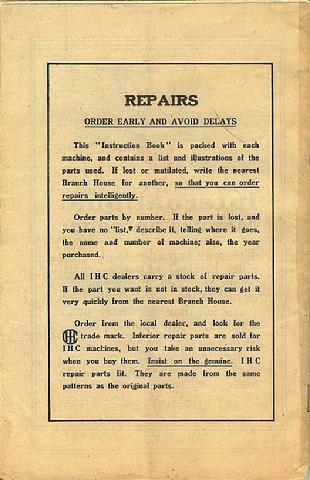 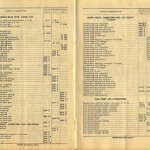 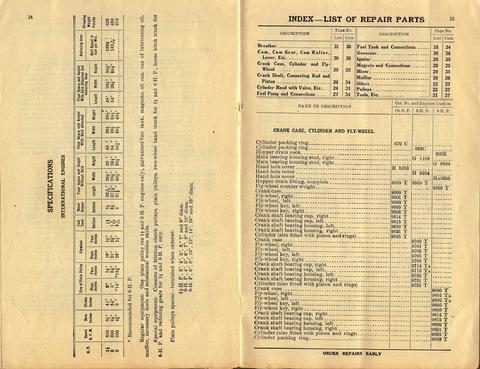 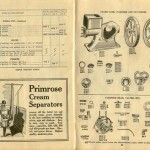 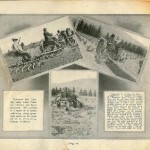 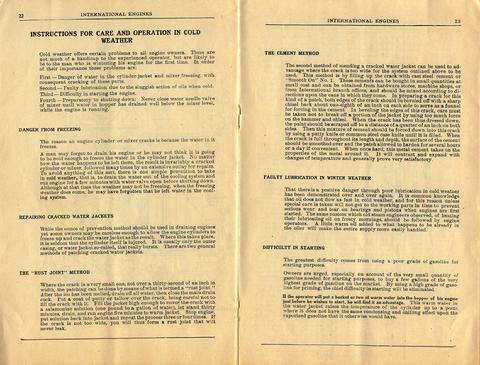 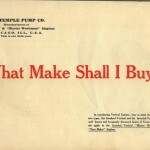 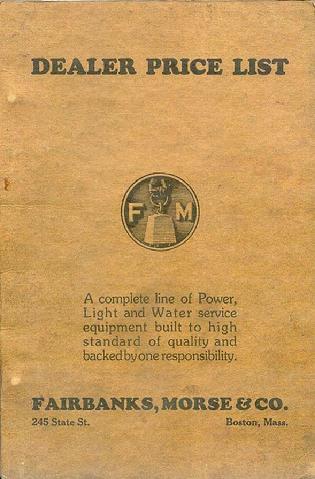 As early as January 1930, the Rumely management began seeking a buyer for the company. 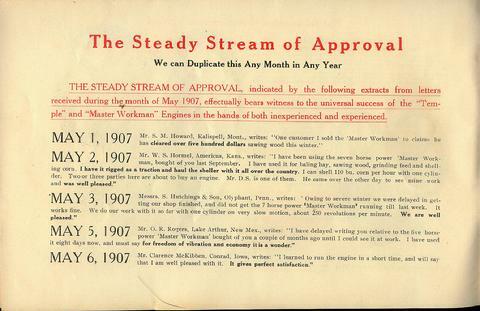 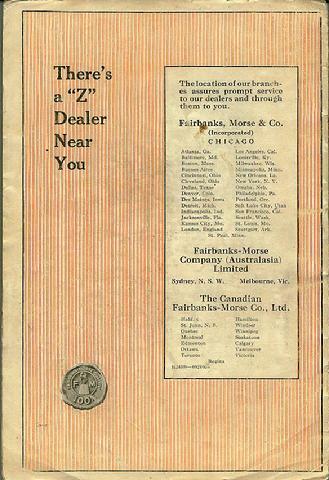 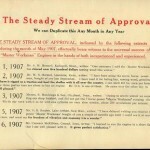 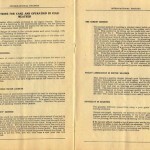 Correspondence with Otto Falk, president of the Allis-Chalmers Manufacturing Company, proved fruitful: A-C agreed to take over the firm and did so by May 1931. 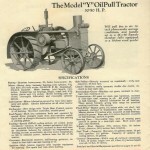 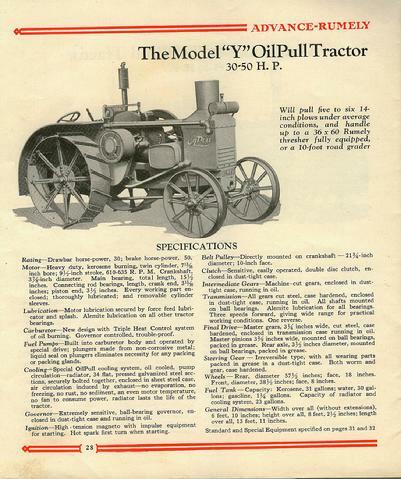 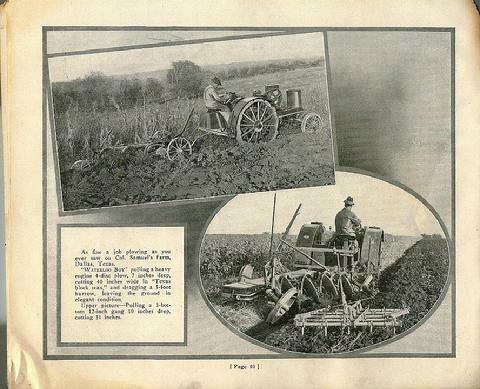 Rumely had already discontinued its traction engine lines in favor of newer-style tractors, but Allis-Chalmers already had a line of those that was quite successful. 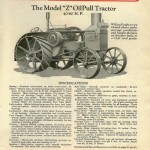 Hence, the remaining Rumely-branded tractors were discontinued. 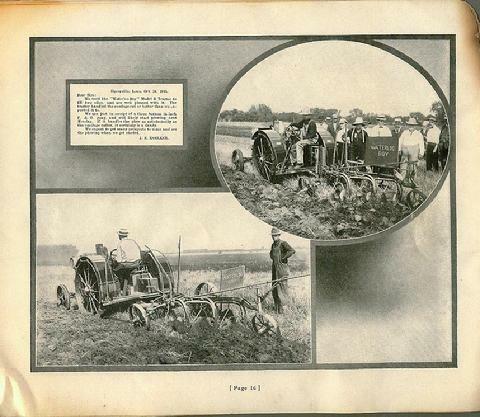 A-C was more interested in Advance-Rumely’s line of threshing and harvesting machines (not to mention the sprawling plants that built them). 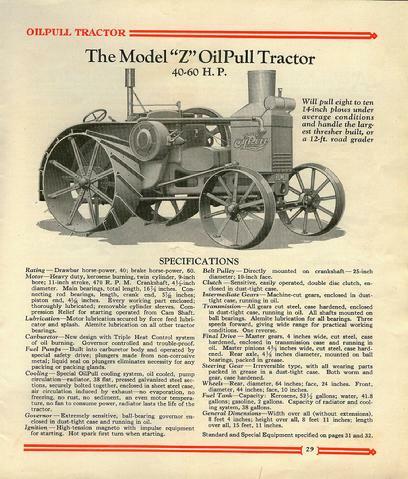 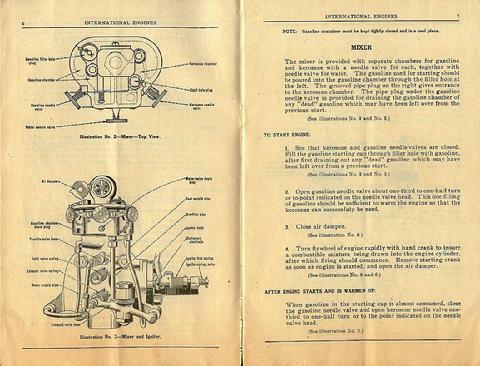 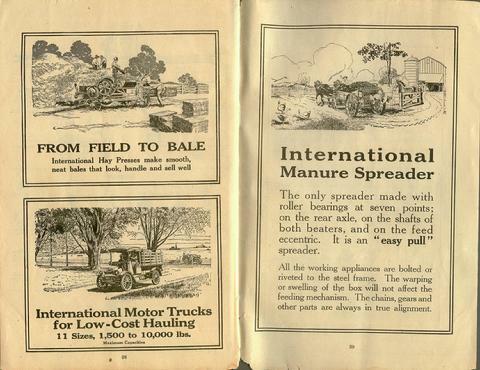 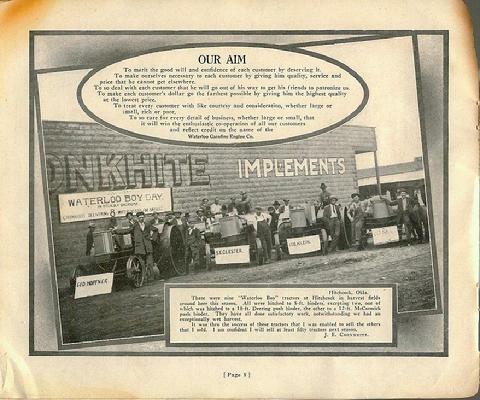 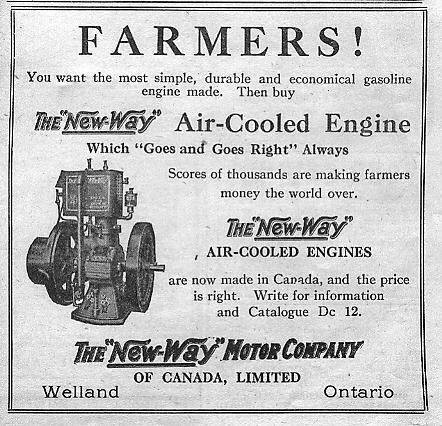 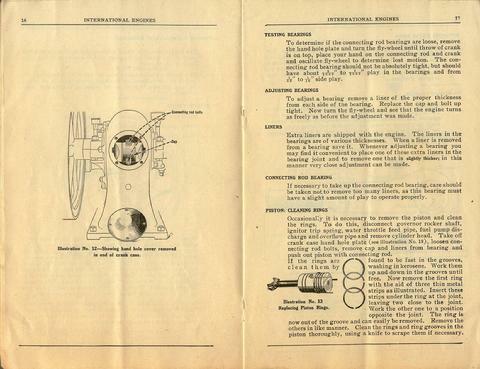 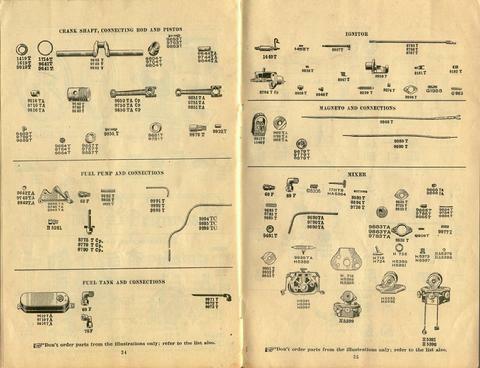 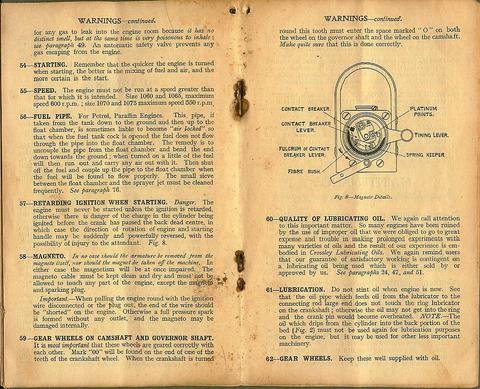 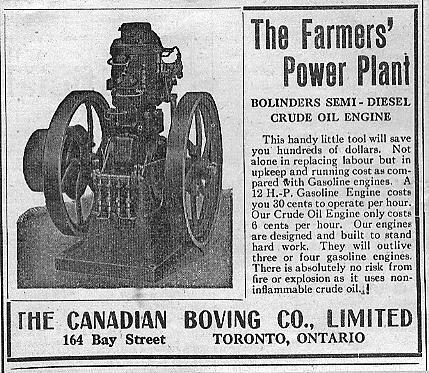 Also of interest to Allis-Chalmers was Rumely’s extensive dealer network, which was instantly converted to the complete A-C product line. 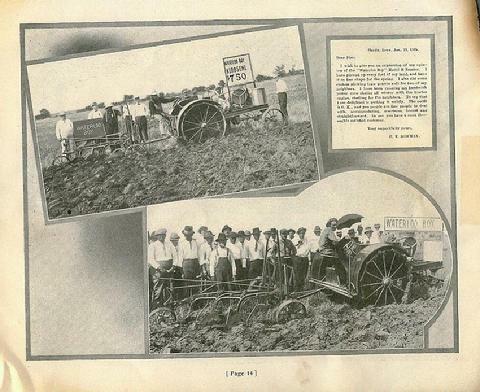 And the “La Porte plant”, as Advance-Rumely’s main headquarters was now called, became known as the “Harvester Capitol of the World” thanks to its eventual production of Allis-Chalmers’ successful All-Crop harvester line. 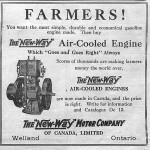 Allis-Chalmers itself would eventually succumb to bankruptcy and the dismantling of its vast business interests in 1985, but by that time Advance-Rumely was very much a memory. 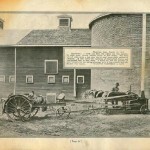 Rumely Historic Building and information in Saskatoon. 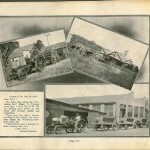 This will take you to an interesting and obscure link for the Rumely sales building in Saskatoon, Saskatchewan, Canada. 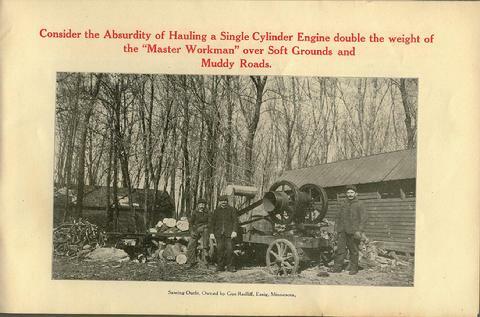 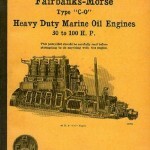 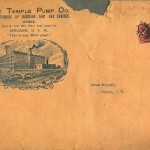 Click on this link to get to Chris and Rod Epping’s Rumely collection site. 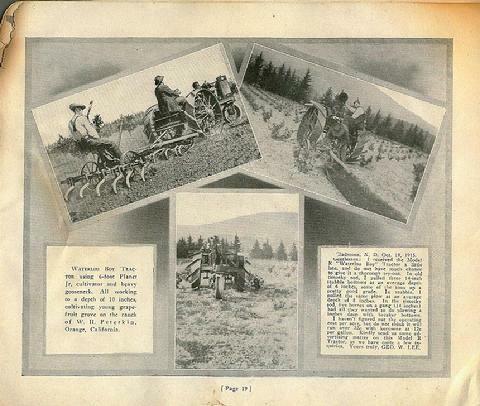 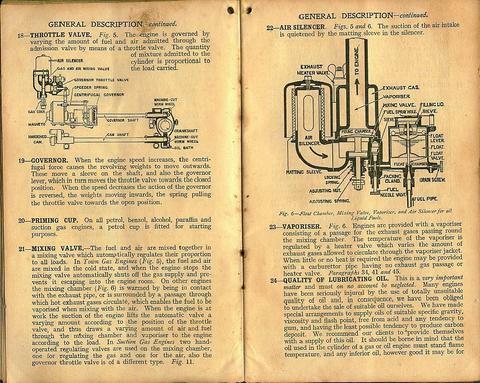 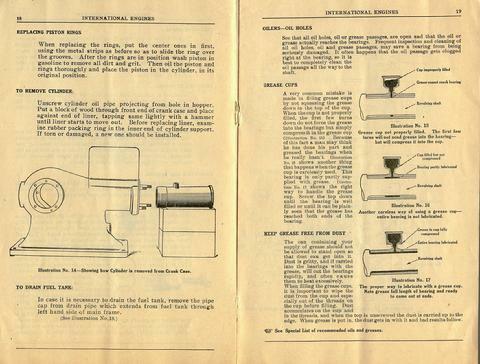 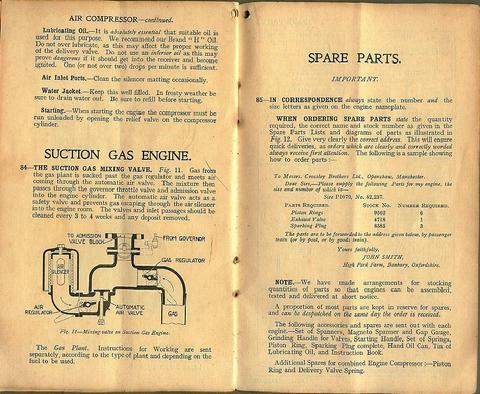 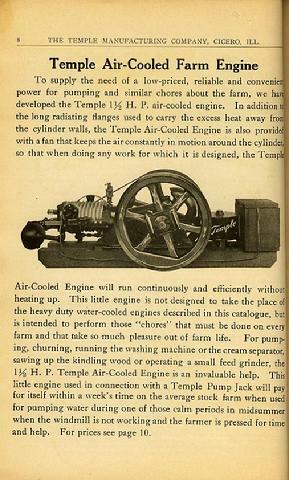 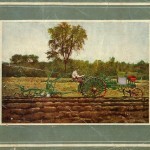 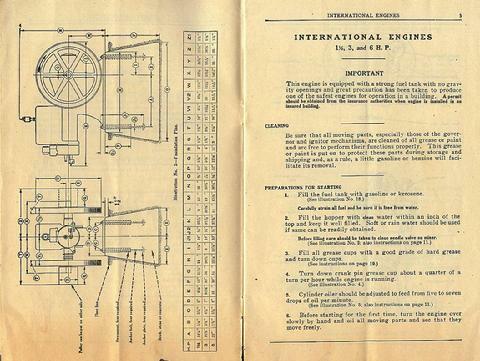 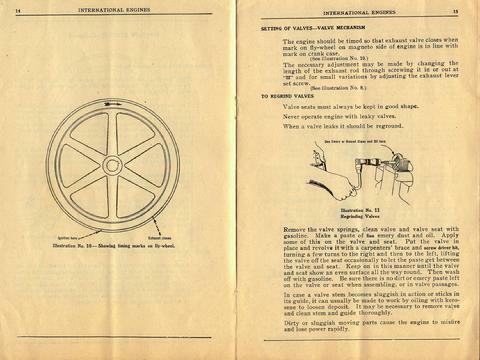 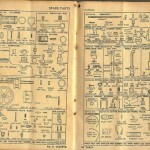 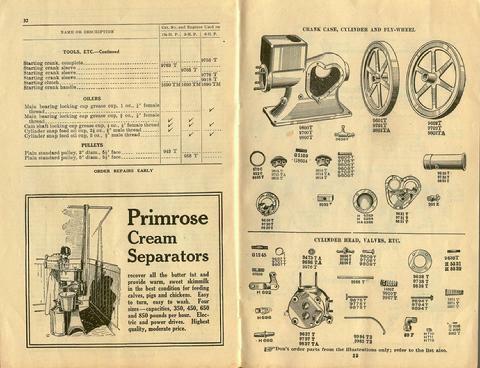 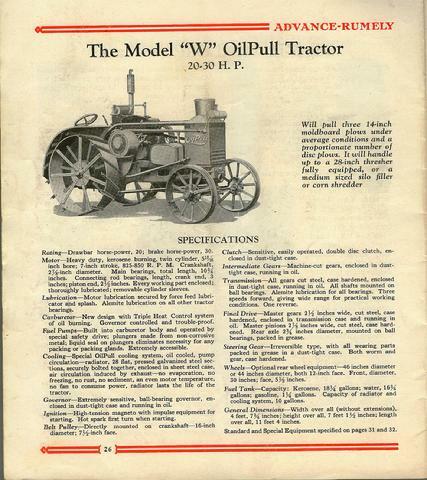 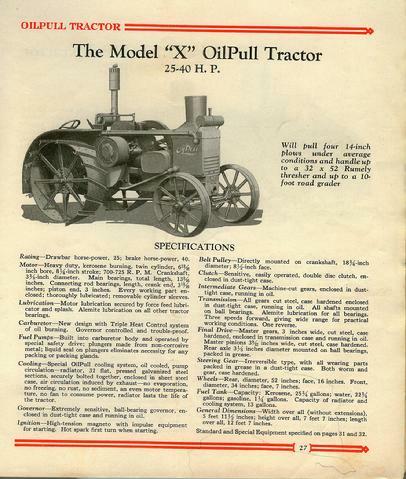 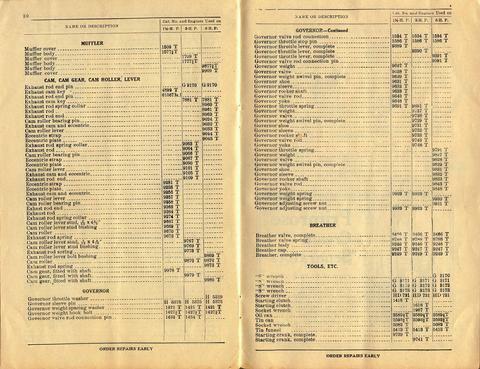 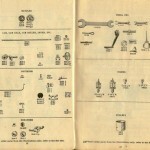 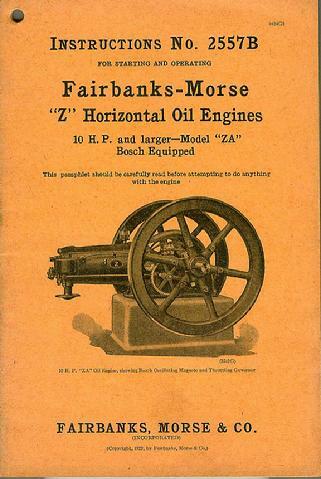 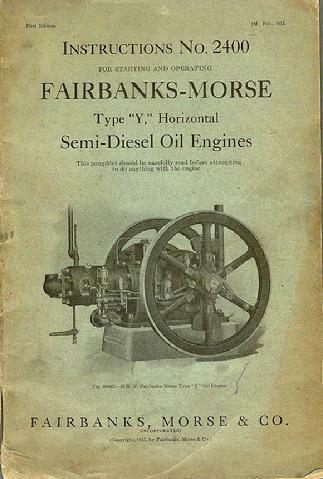 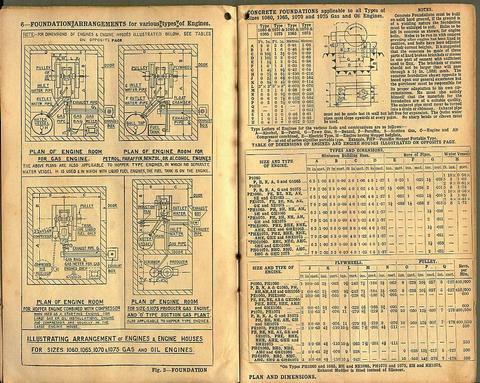 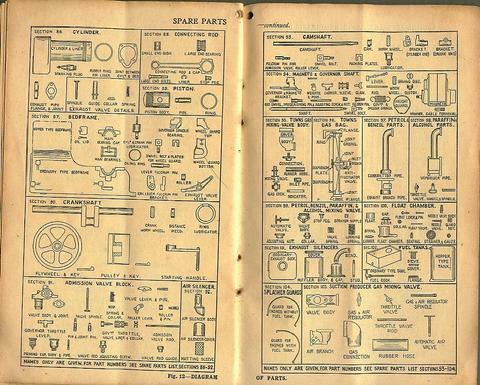 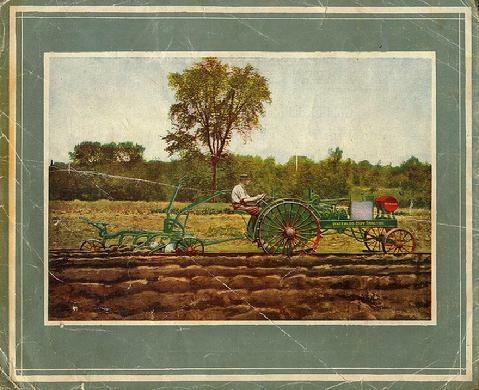 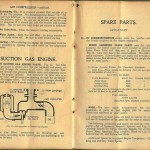 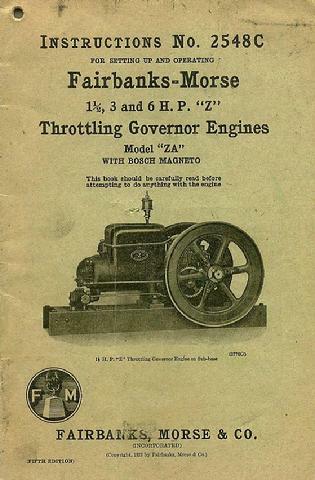 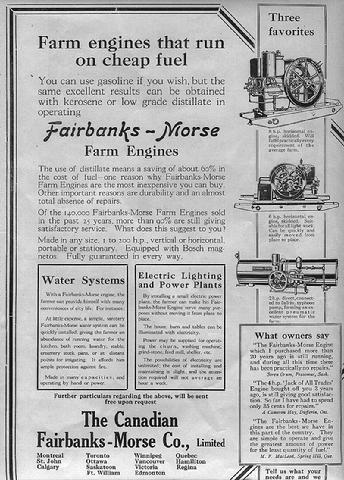 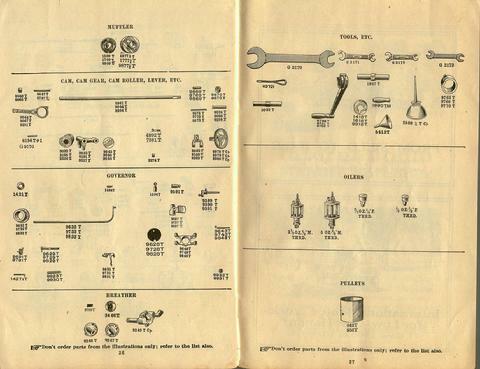 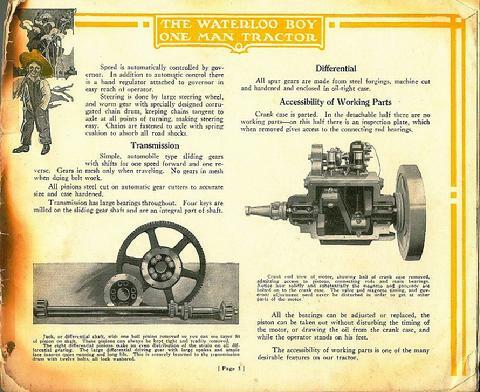 Thinking I was purchasing a catalog which contained both tractors and engines, this catalog is mostly the tractor. 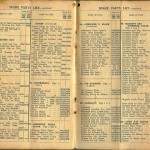 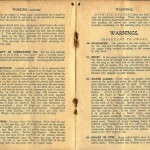 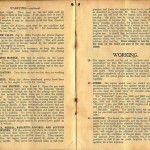 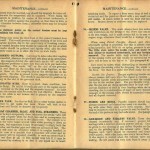 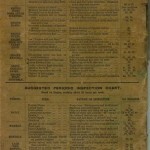 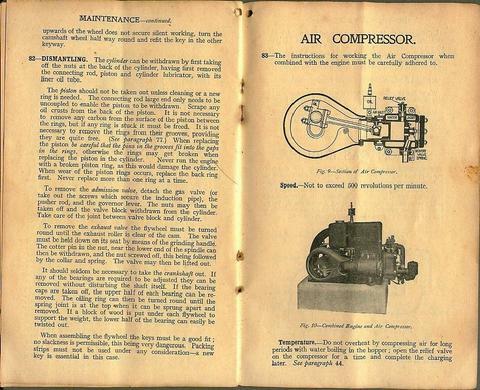 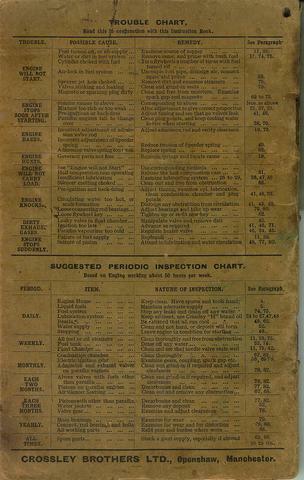 It seems to have a history though, as the first two pages are missing and there are burn and scorch marks all over it. 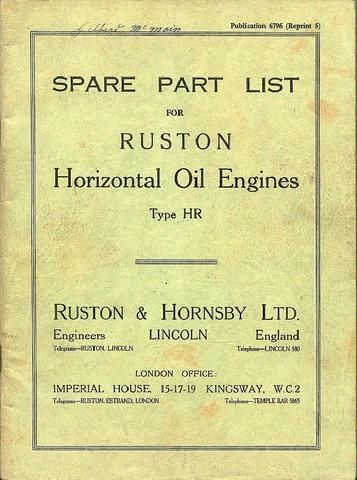 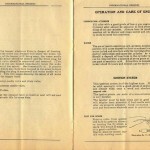 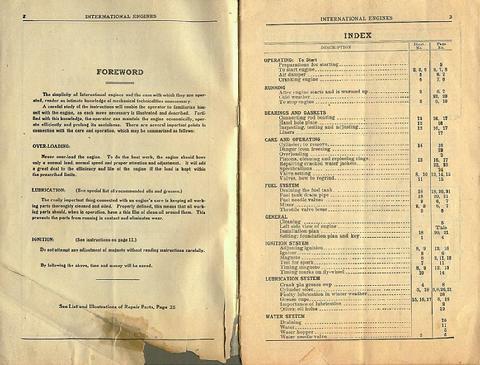 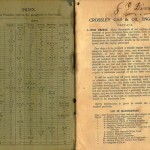 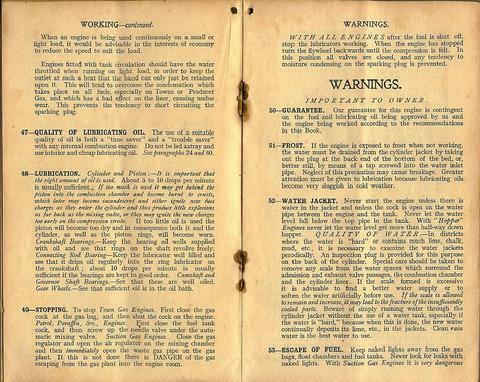 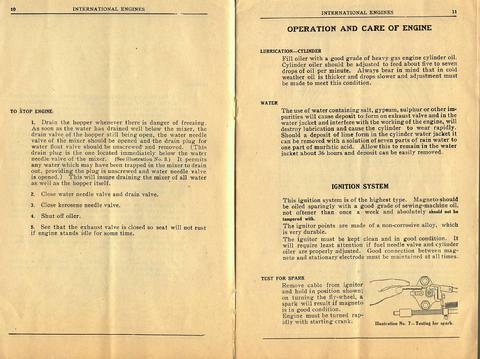 None the less, this document is and interesting piece of history. 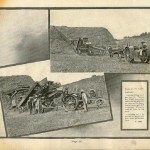 I believe this to be circa 1916.